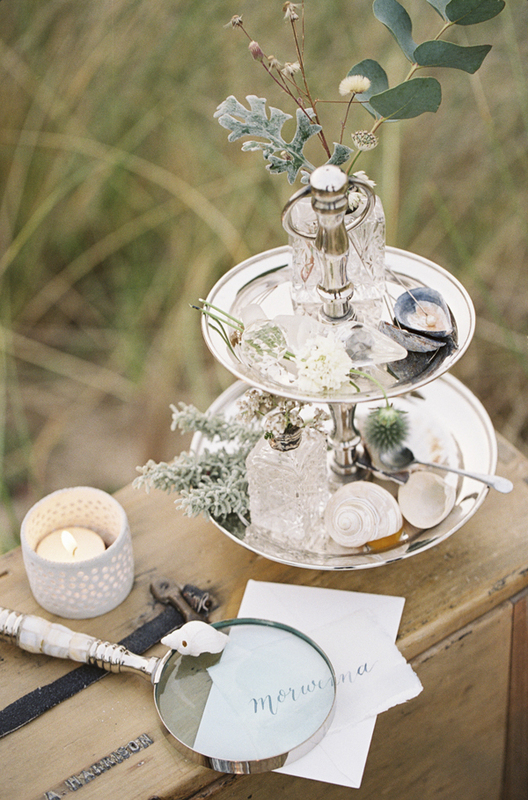 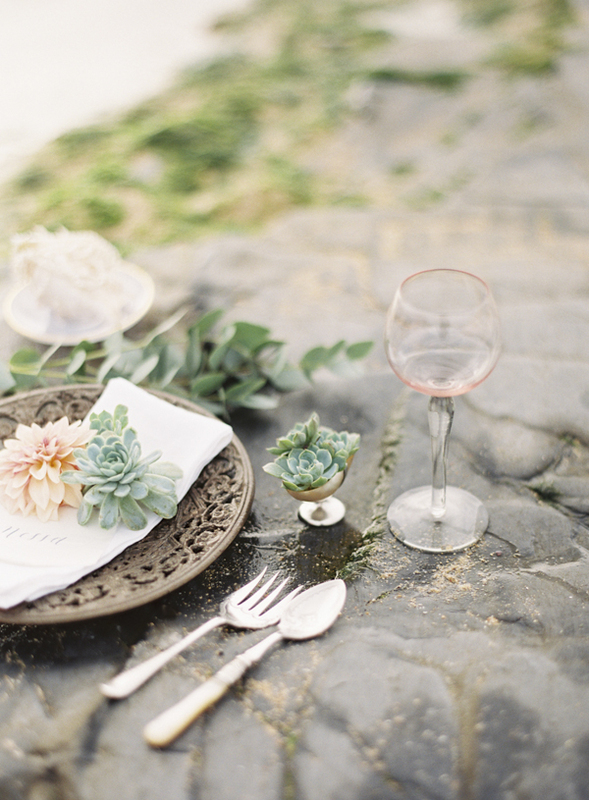 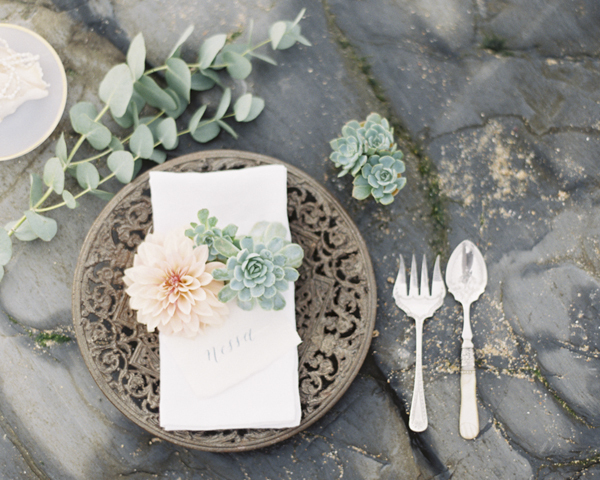 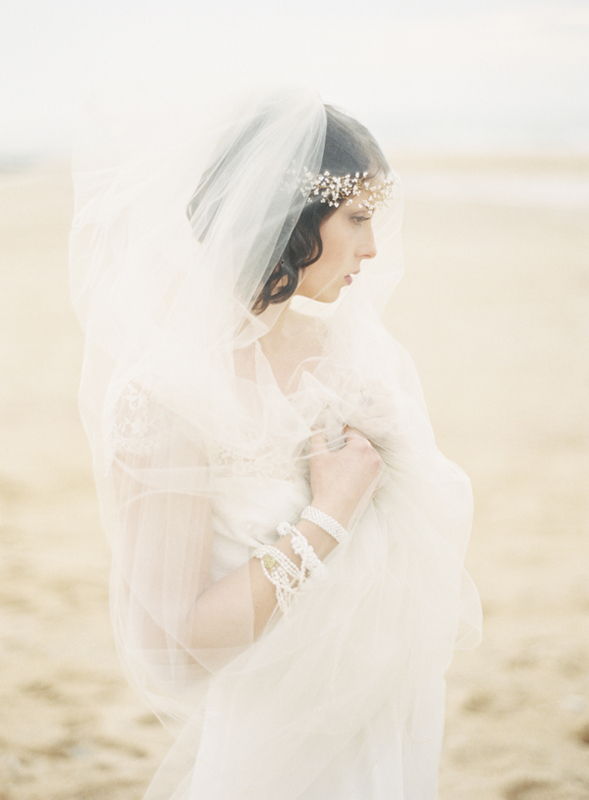 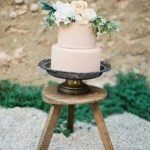 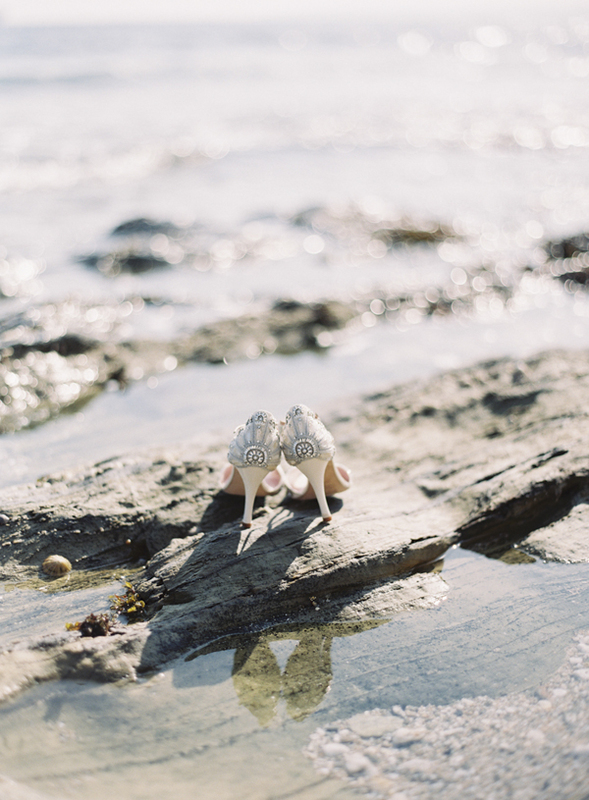 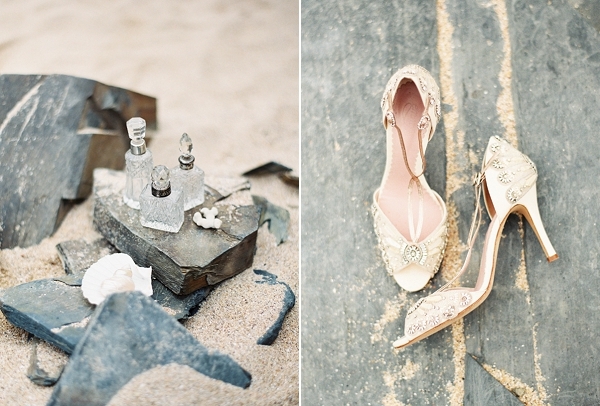 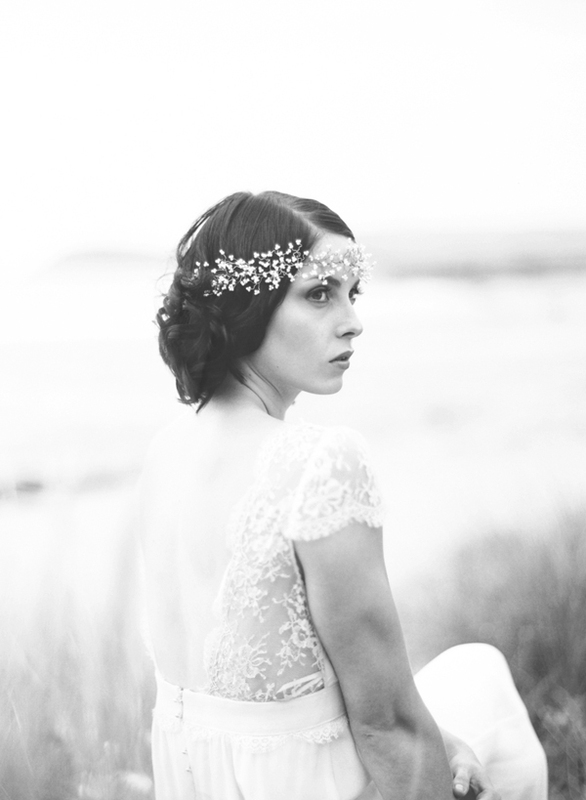 Inspired by the idea of a shipwreck theme, fine art, film photographer, Sarah Hannam, along with a host of talented vendors, created a wonderland filled with soft muted tones, delicate blooms and a light, graceful Laure de Sagazan gown against the natural, textured landscape of the rugged coast of England. 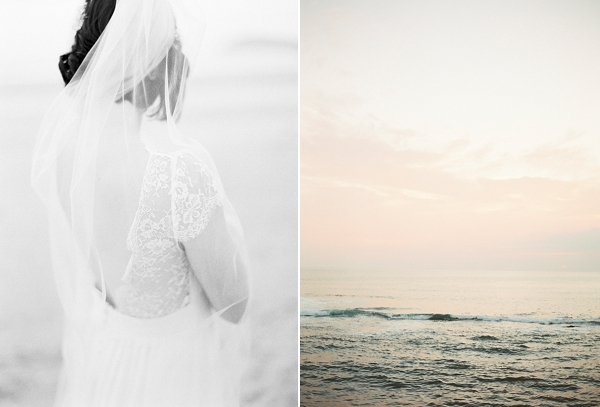 The result – a riveting contrast filled with romantic, moody tension and the most stunning images! 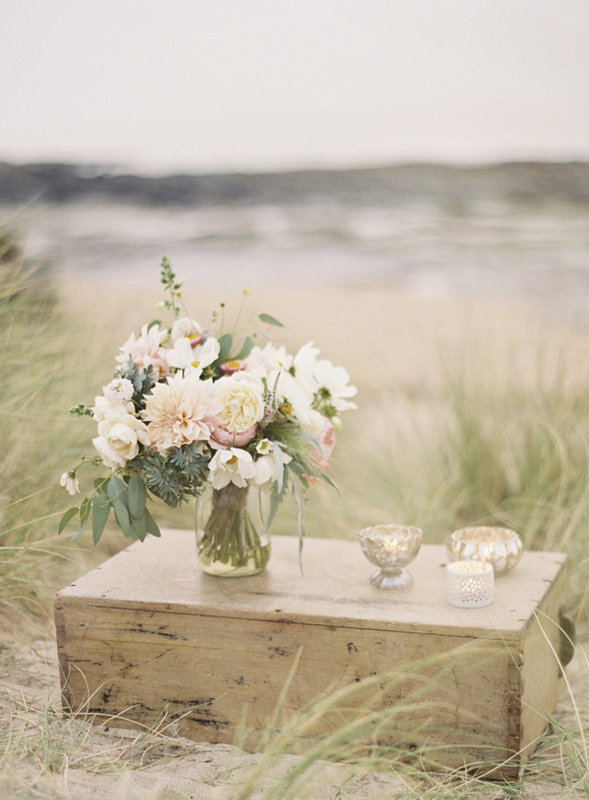 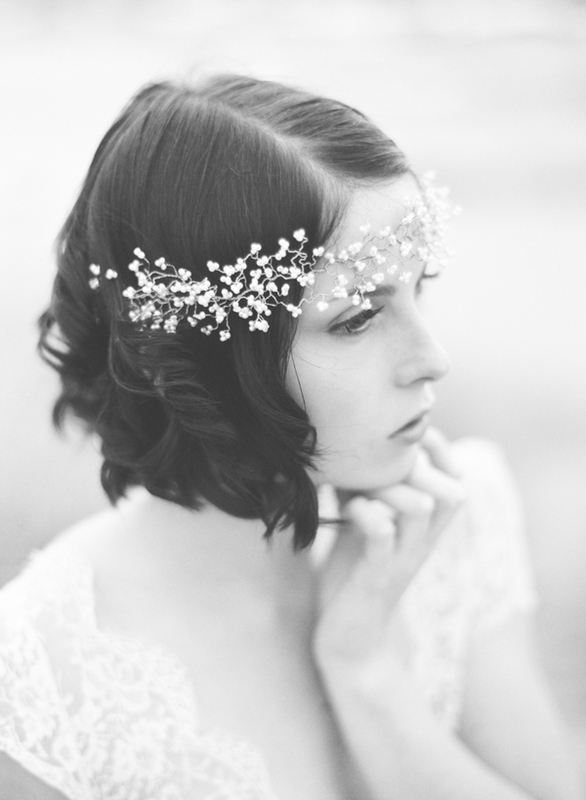 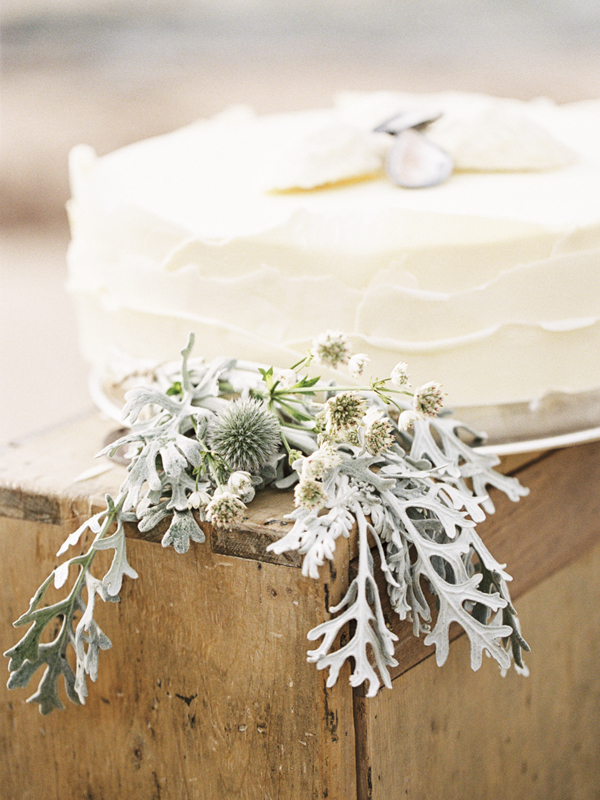 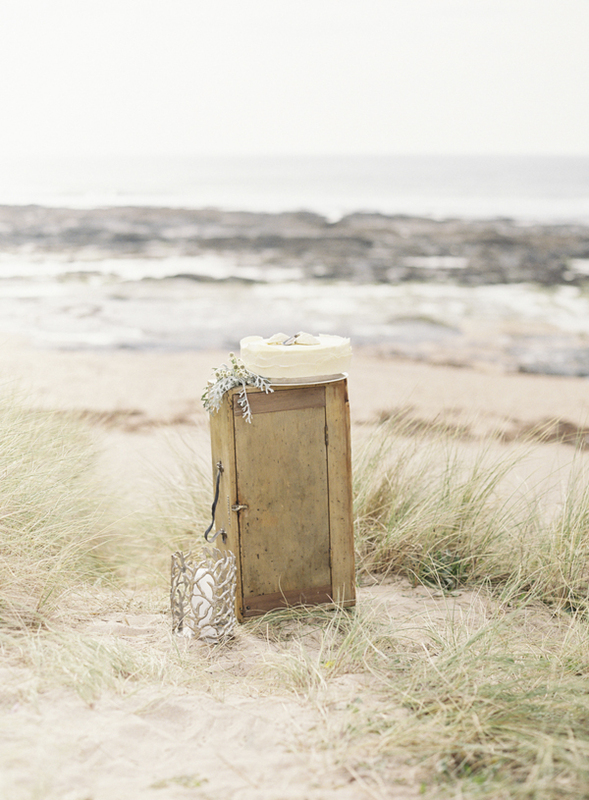 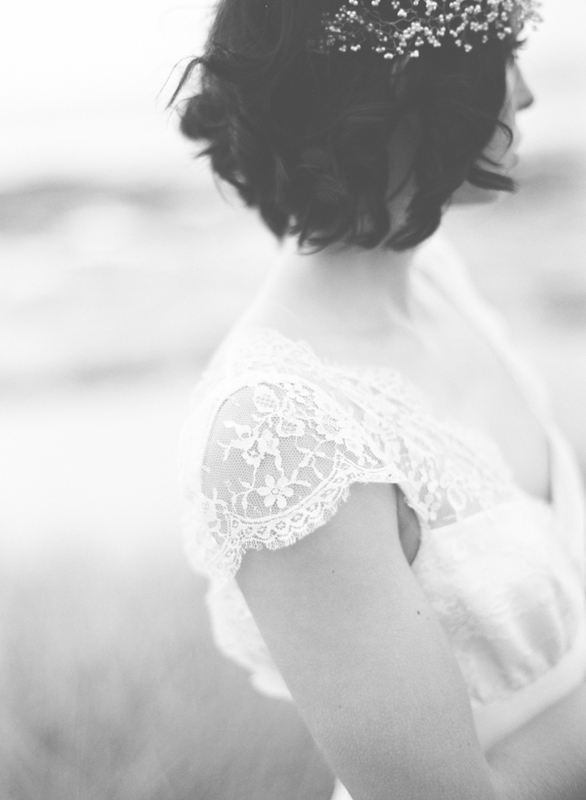 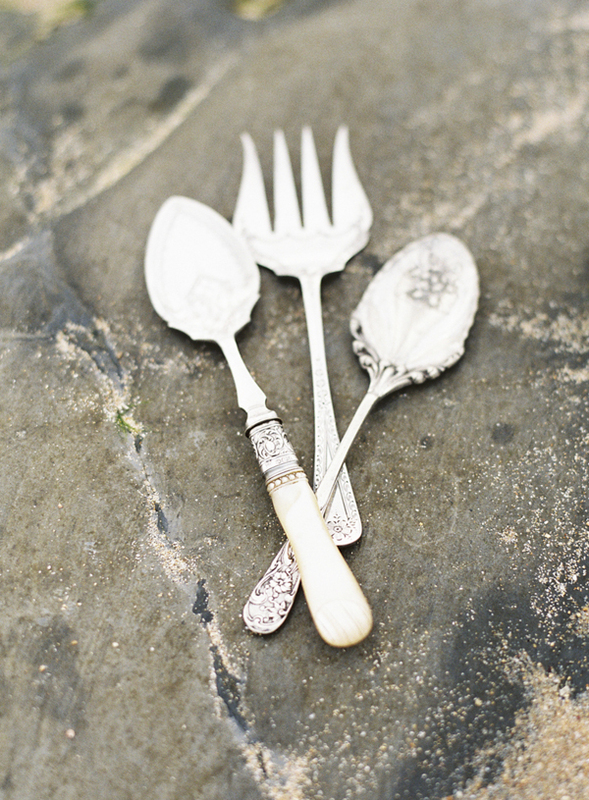 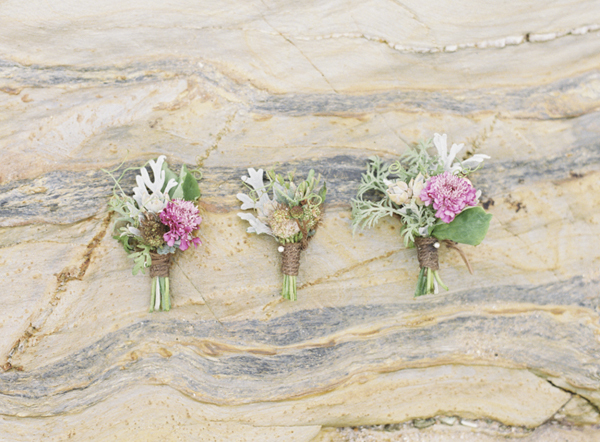 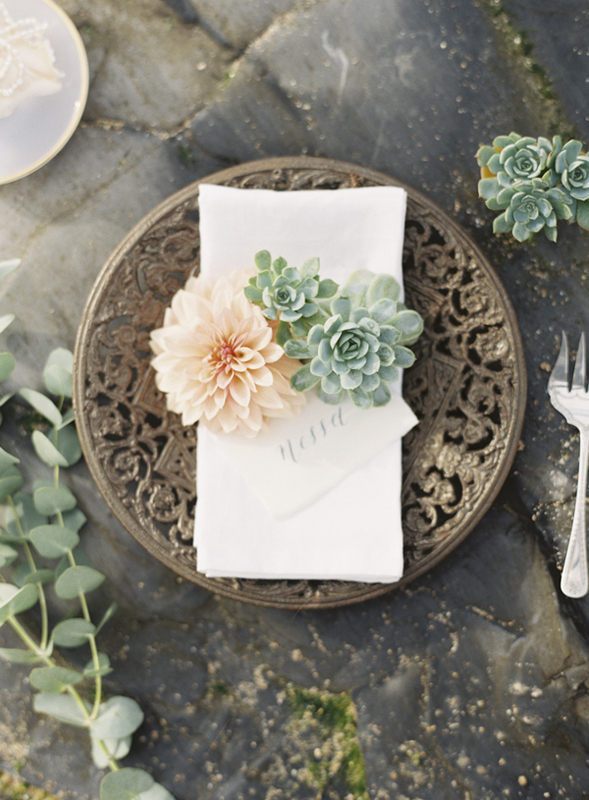 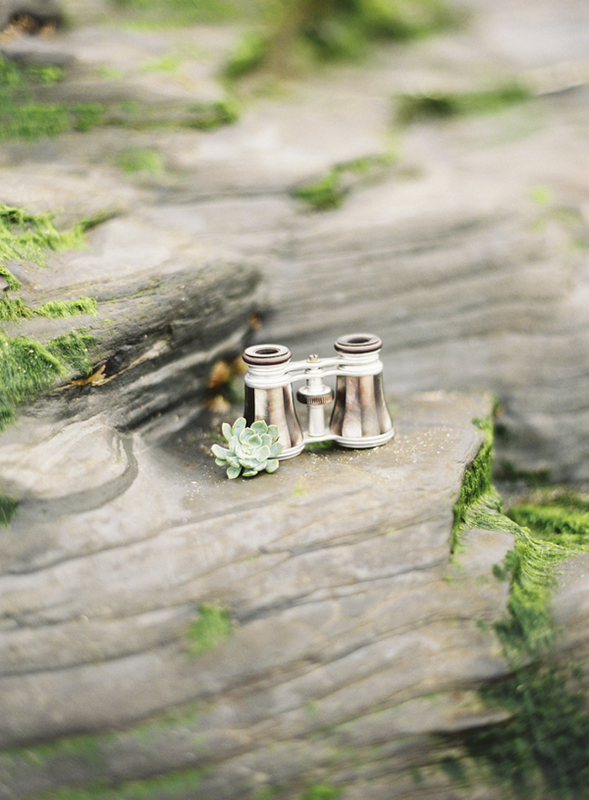 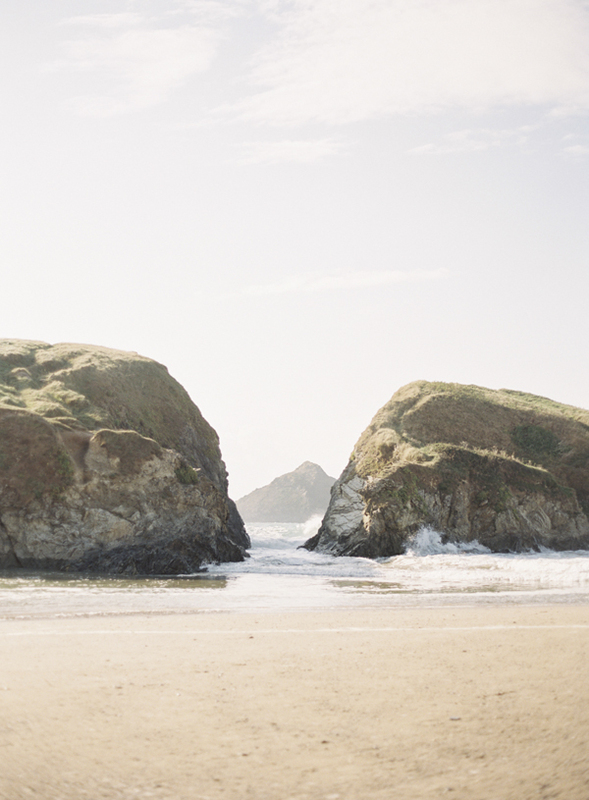 From Sarah Hannam Photography: Tidal was an idea that had inspired me when I was living in Cornwall, UK. 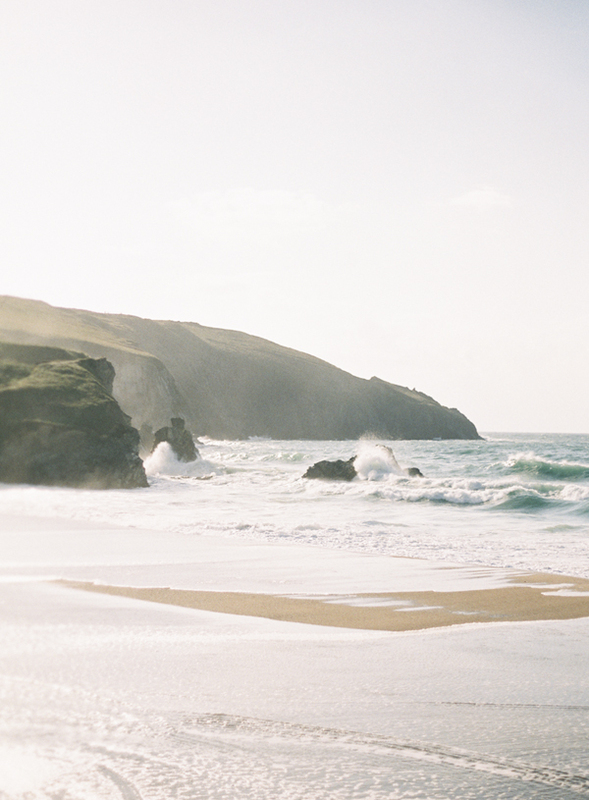 The county in the far south west of England is surrounded by the sea and is known for its secret coves, smugglers and shipwrecks, plus it has the most amazing light in September. 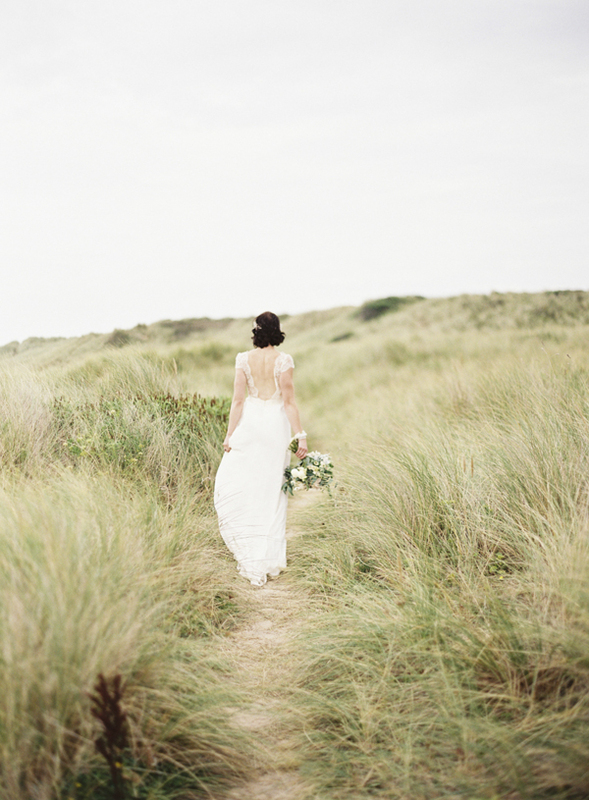 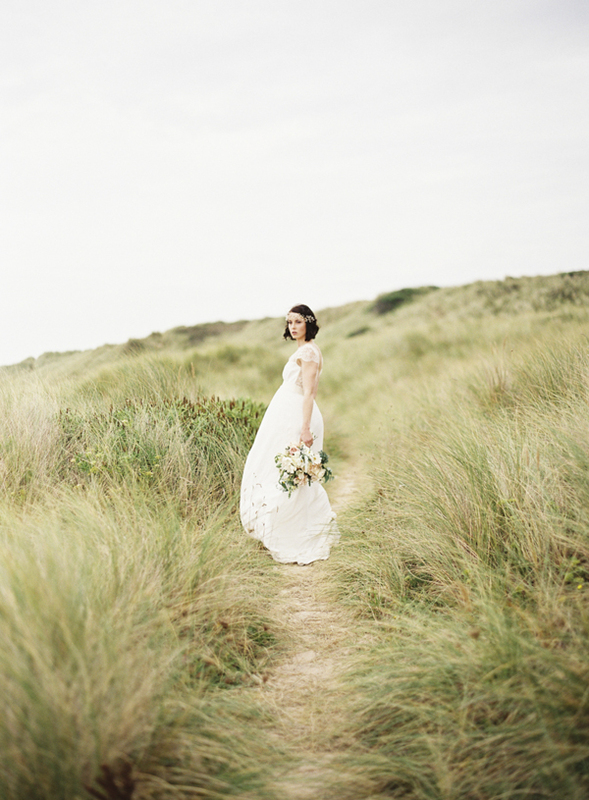 The stunning landscape of grassy sand dunes, wide beaches, jagged rocks and crashing waves were perfect for the shoot. 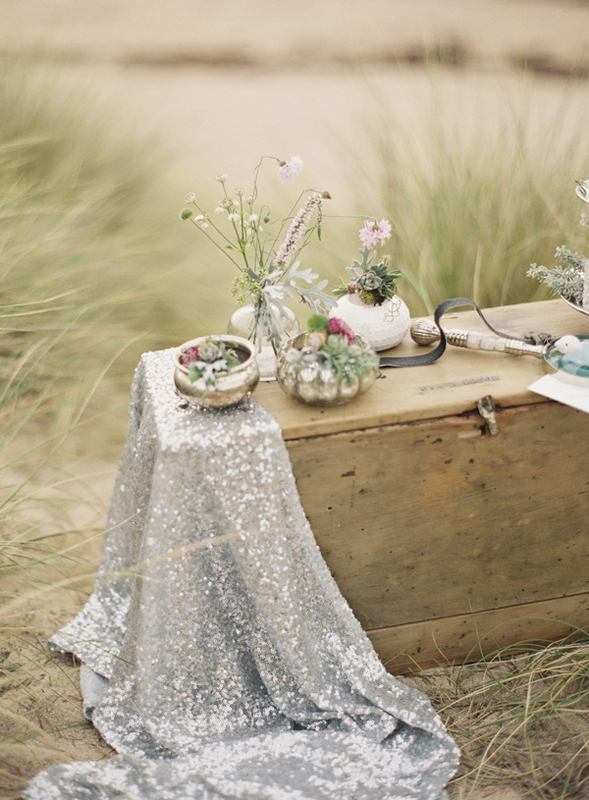 It is the story of treasures from foundered ships washing up on the beach and into the rock pools that the bride adorns herself with – so the mixed jewels of seed pearls, white tiny shells, amethyst and gold were perfect, as I wanted it to really look like they were gathered from the beach and not too uniform. 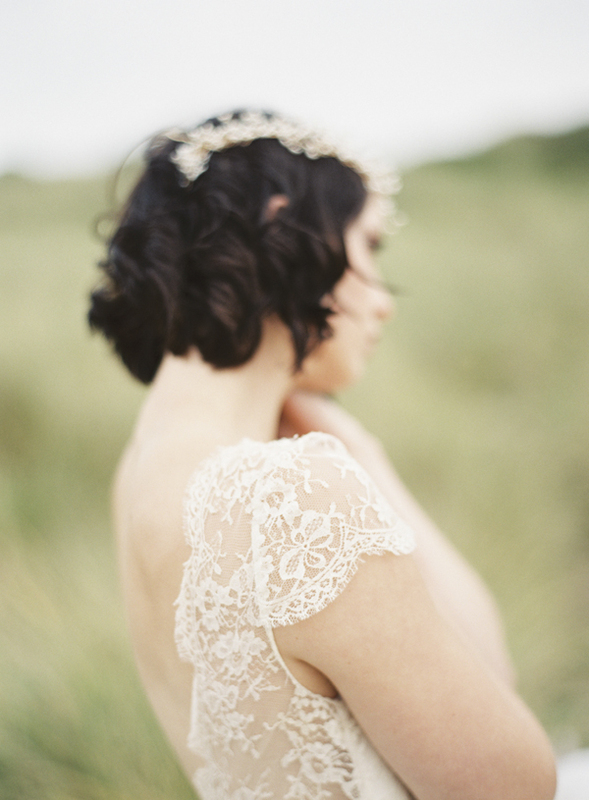 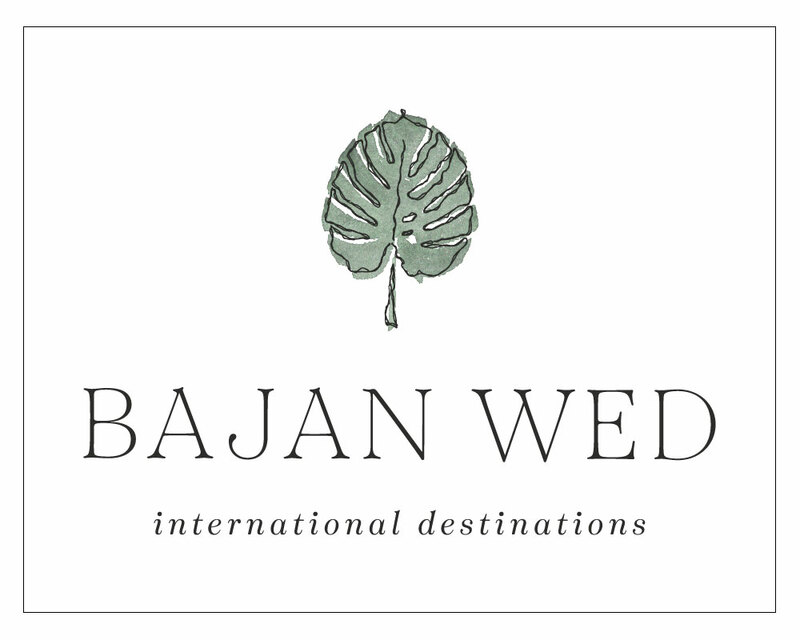 Thank you so much for featuring – I LOVE your edit of the shoot! 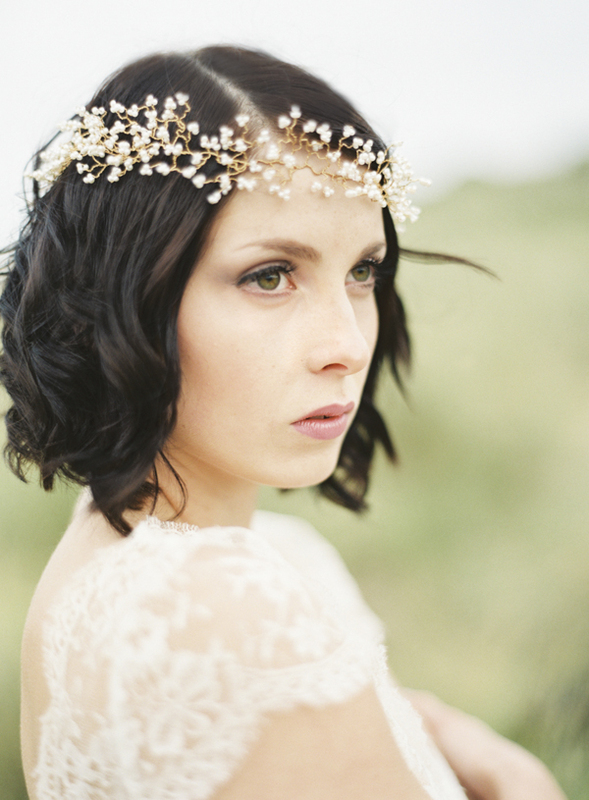 Thank you Sarah, that is so heartening to hear! 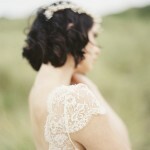 Your work is outstanding and it was such a pleasure to go through these images- I have sooo many favourites!